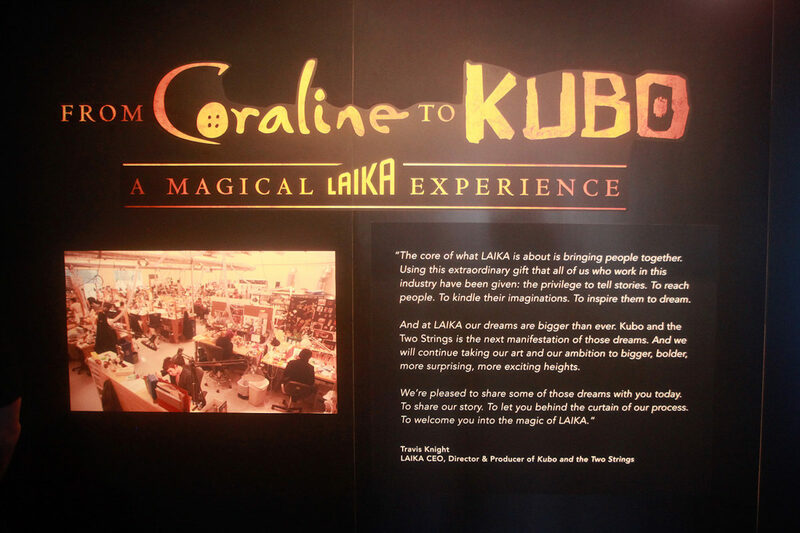 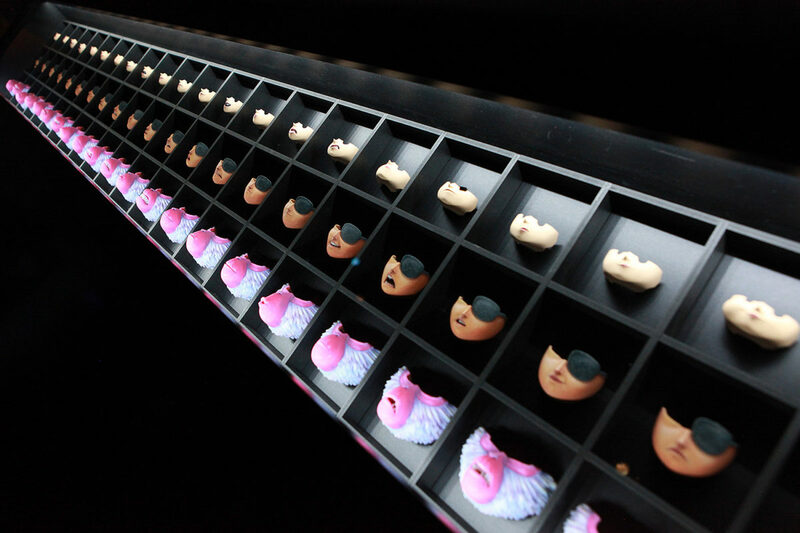 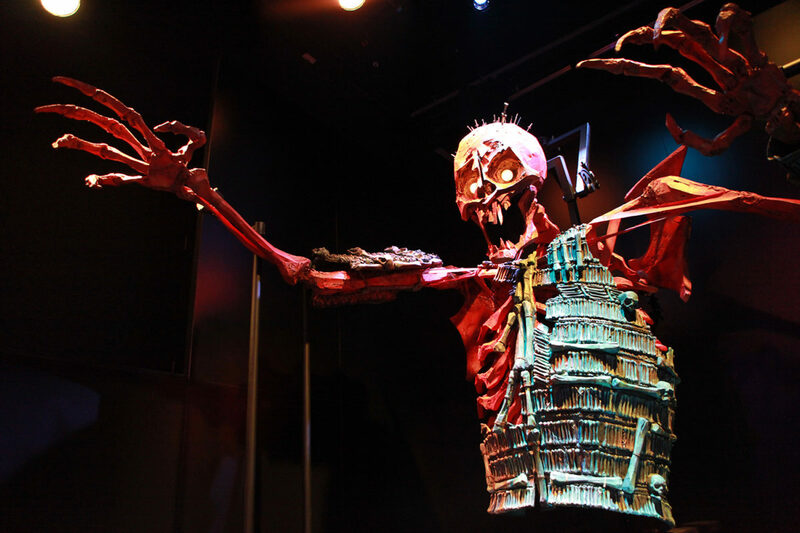 The exhibit takes a page out of the now torn down NBCUniversal Experience and brings fans deeper into the films of LAIKA in a way that was never available before. 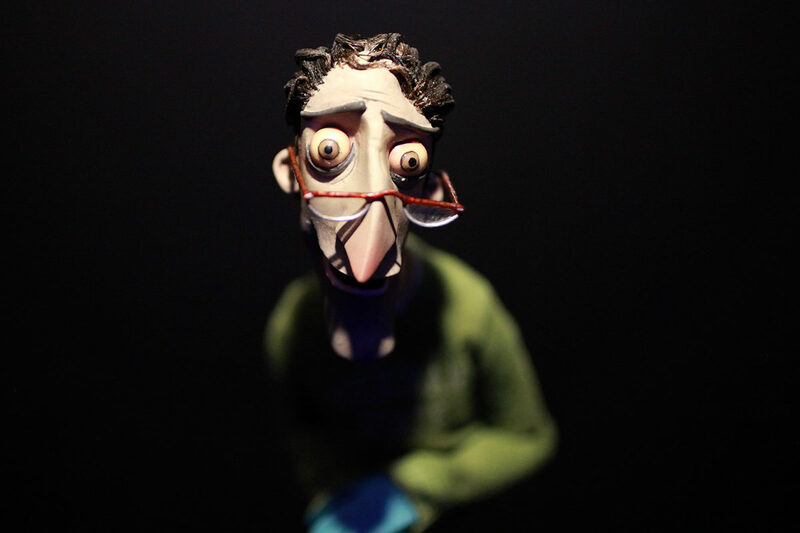 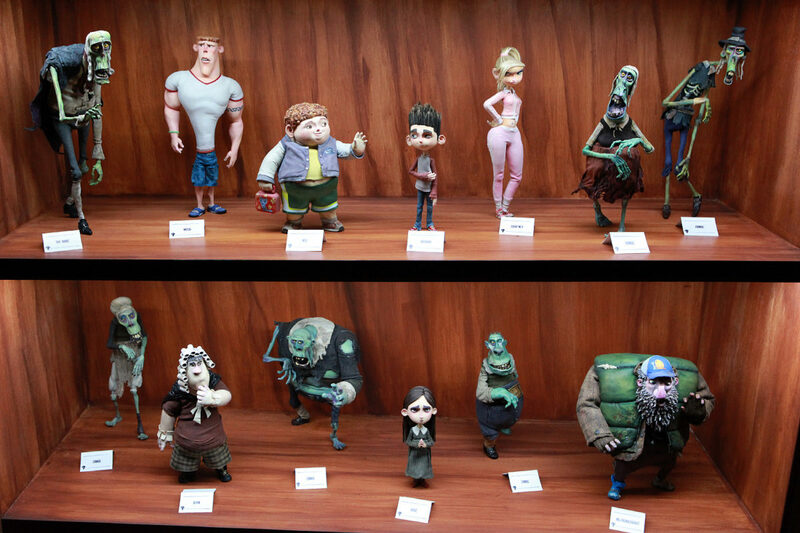 On display are sets, puppets, props from all four of LAIKA’s releases and it’s VERY impressive. 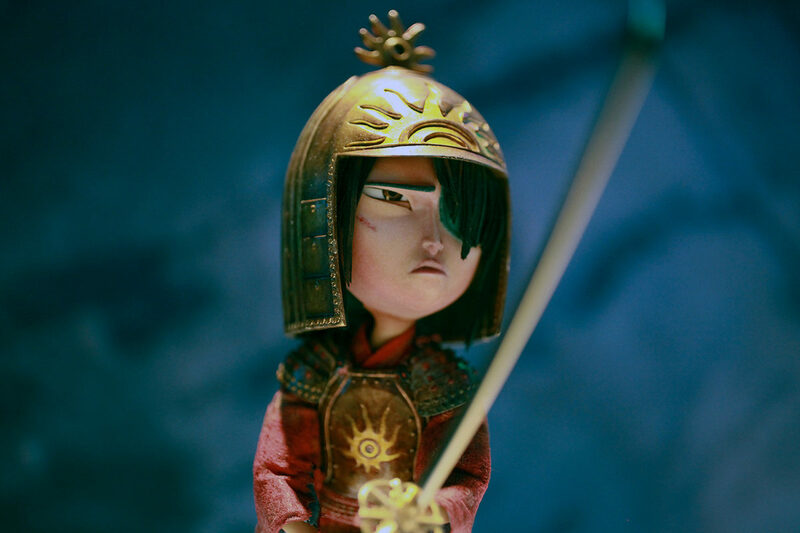 We begin with a message from LAIKA CEO, Travis Knight, who is also Director and Producer of Kubo and the Two Strings. 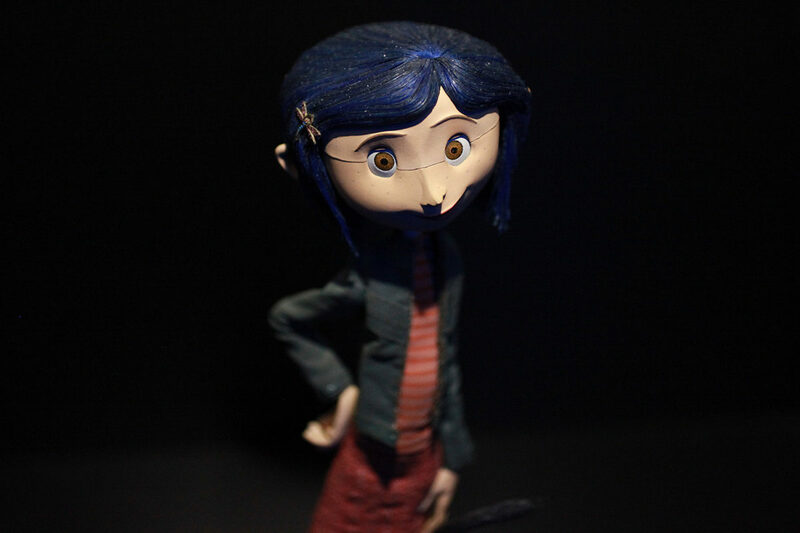 Before long we are invited into the world of Coraline, the breakthrough 2009 film directed by Henry Selick (Tim Burton’s The Nightmare Before Christmas). 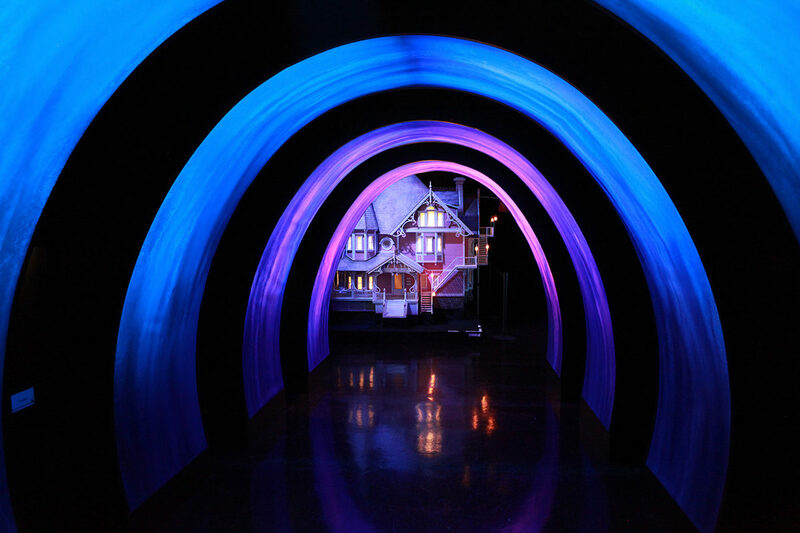 The archway/portal is not only the entry into the exhibit but also a display of many of the characters of Coraline. 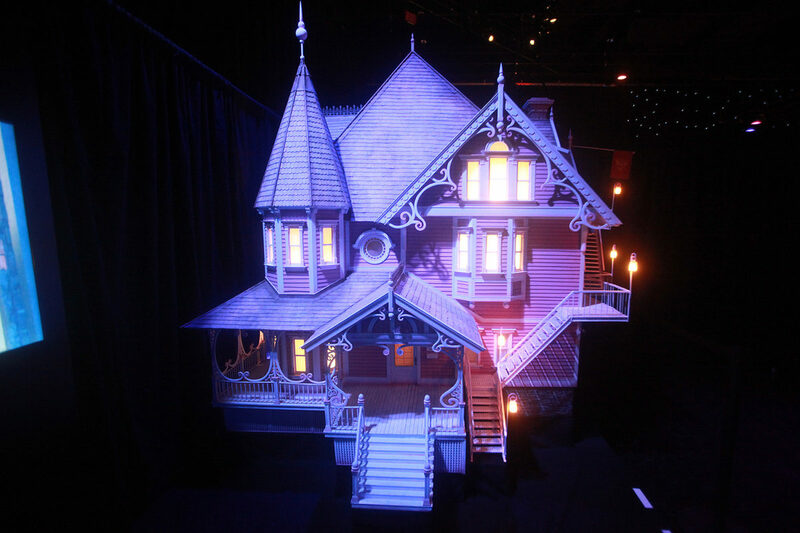 The massive house belonging to Coraline is at the end of the road, before we step into the next film. 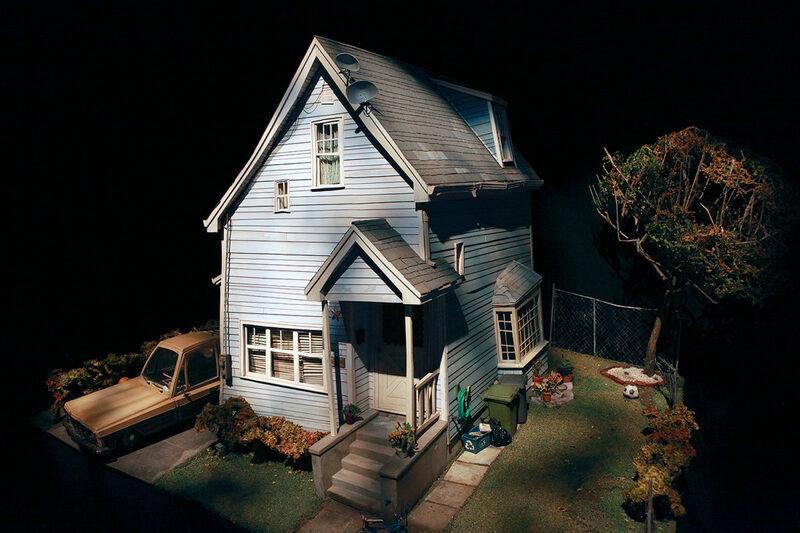 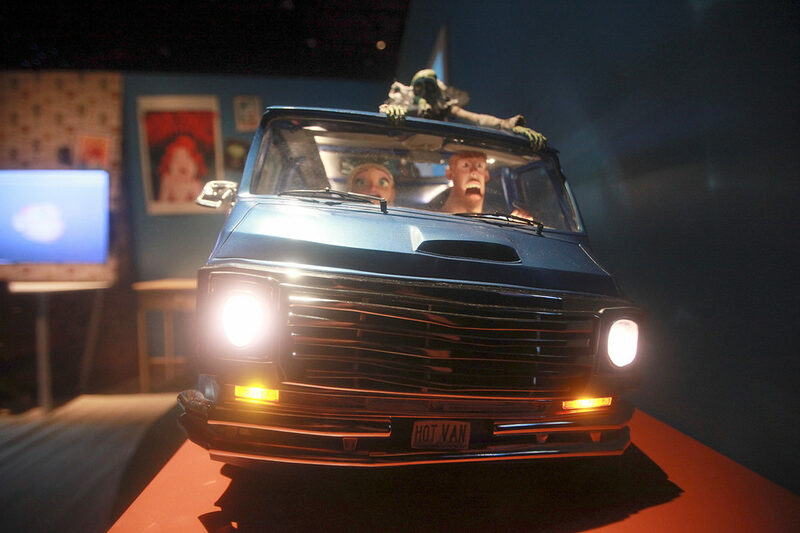 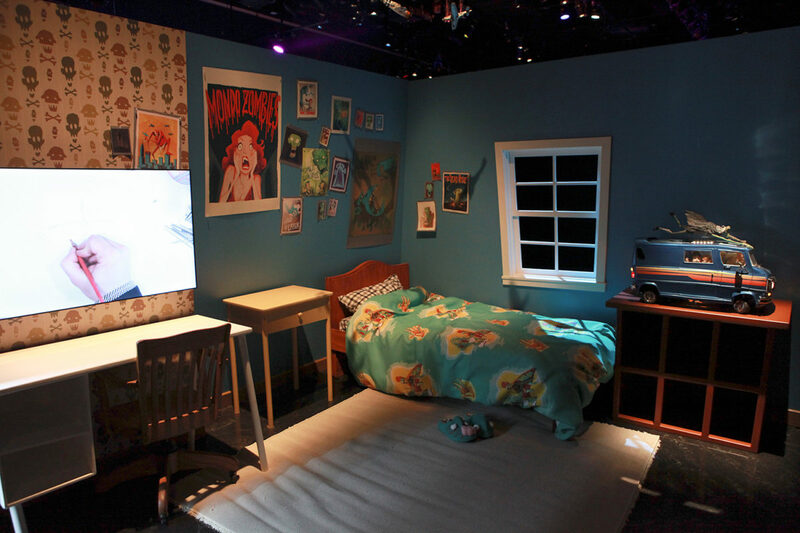 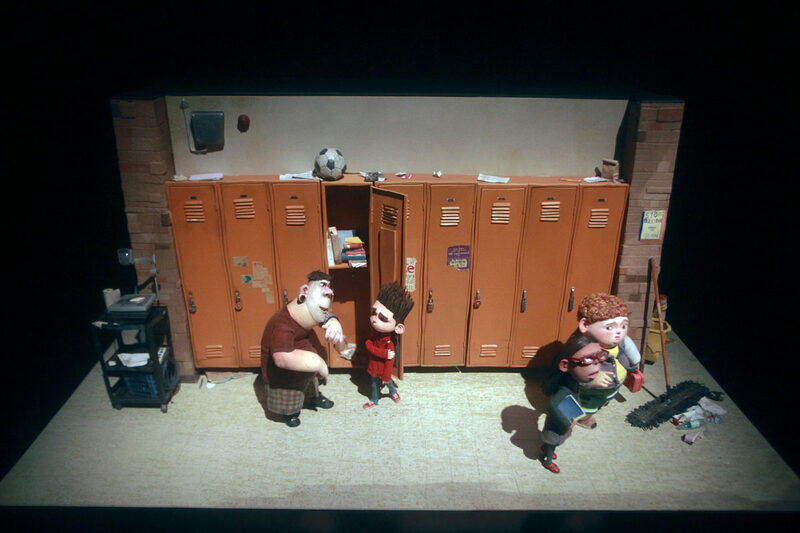 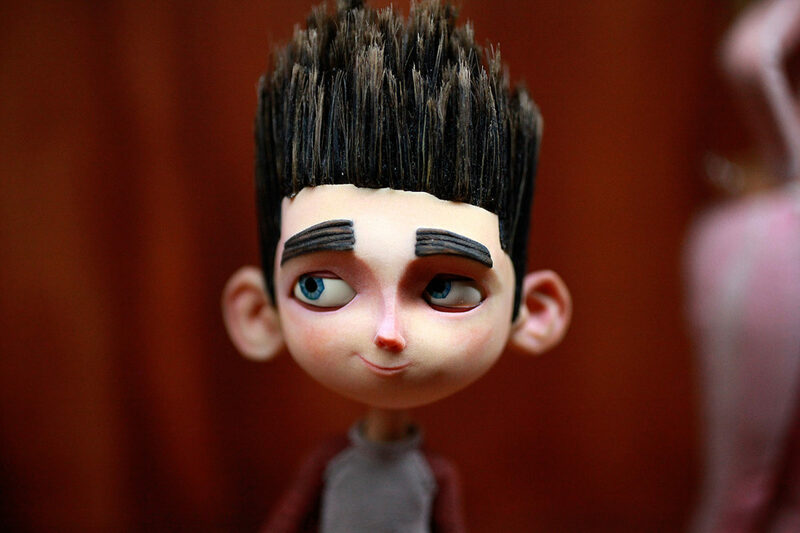 For ParaNorman, one of my personal favorites of LAIKA’s library, a recreation of Norman’s bedroom is presented with many of the puppet characters and zombies from the film, as well as the Hot Van, a set from Norman’s school, as well as Norman’s house. 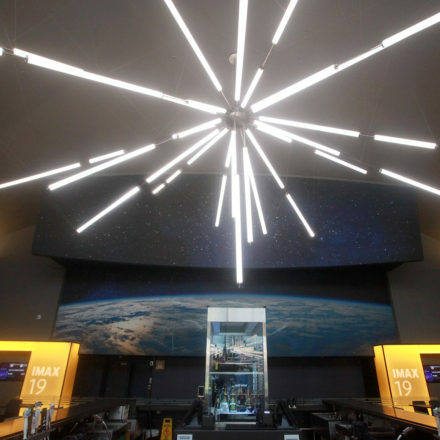 Everything displayed here is without glass and it’s just amazing to see up close. 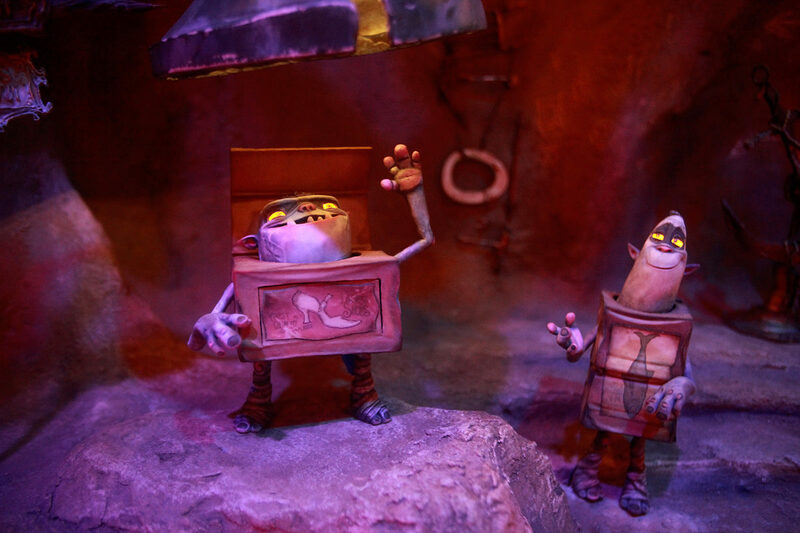 For The Boxtrolls, the exhibit became a cardboard box fort, with some really impressive pieces on display. 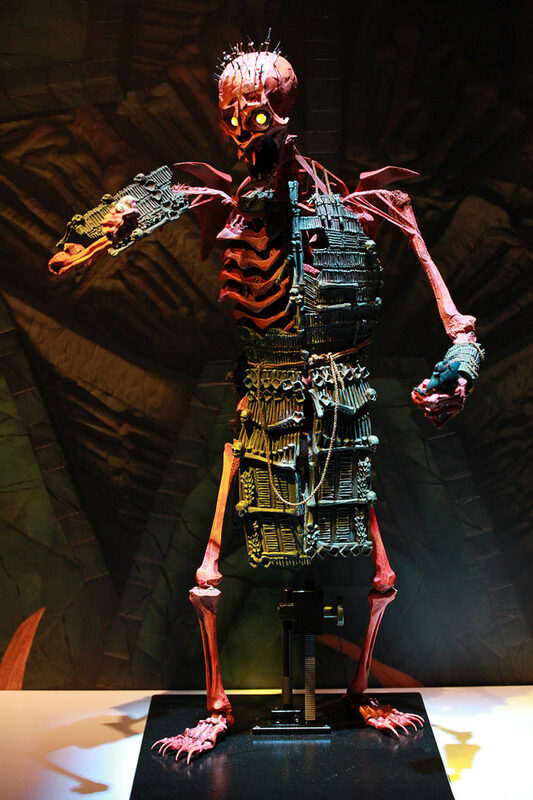 The drill stands 5 feet tall and is the largest puppet rig made. 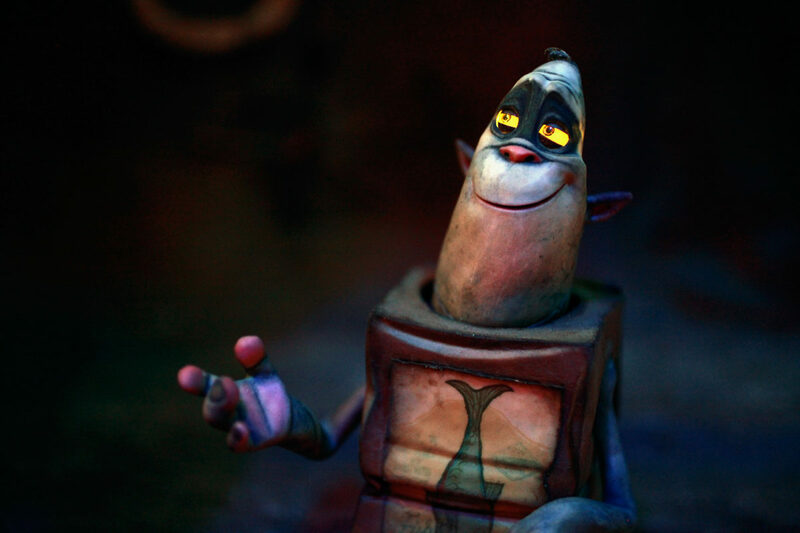 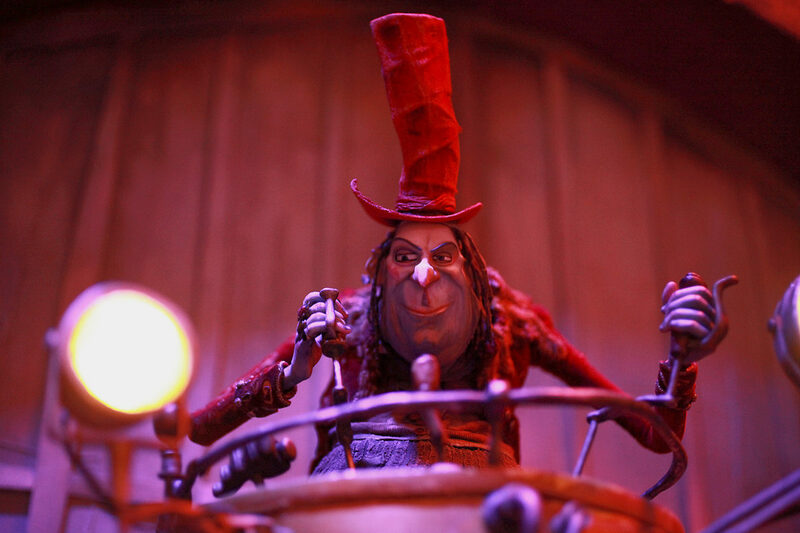 Whether or not The Boxtrolls was a movie for you, there’s no denying the inventiive character deisgns. 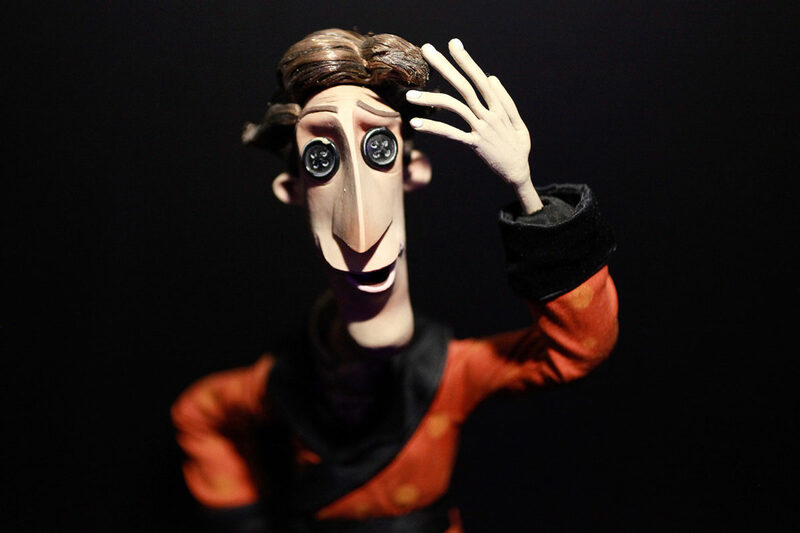 With each film, the puppets become more detailed and more impressive. 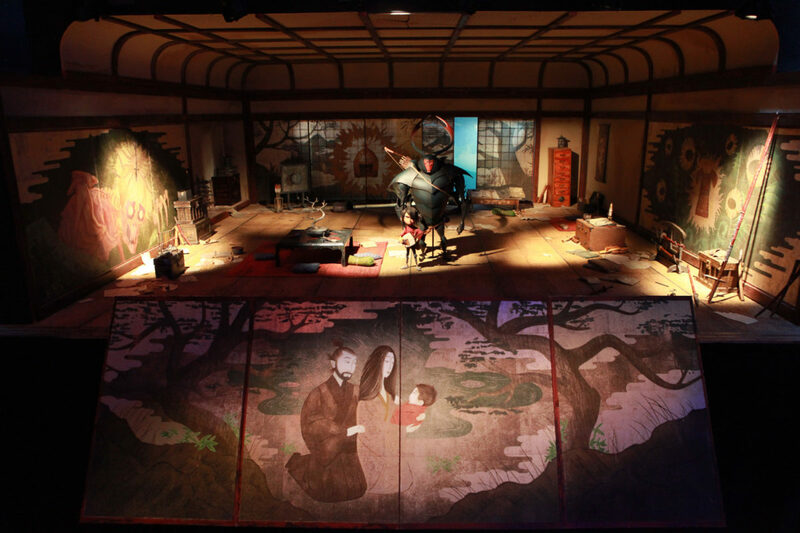 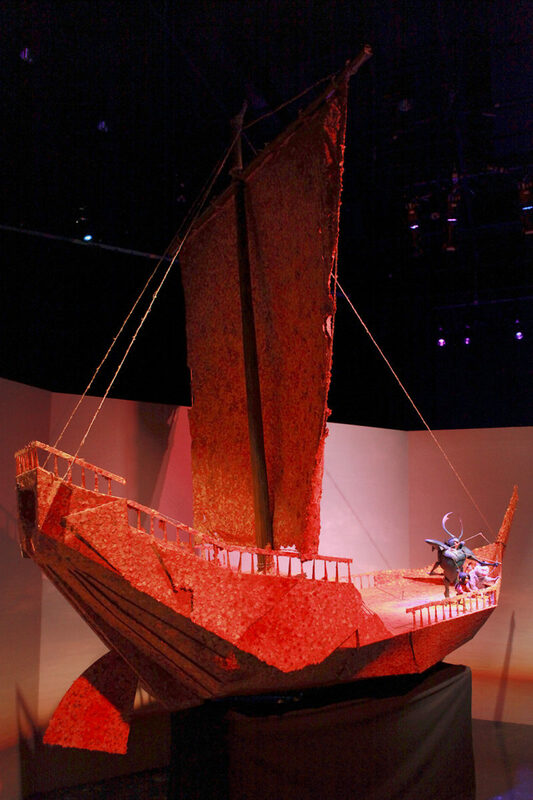 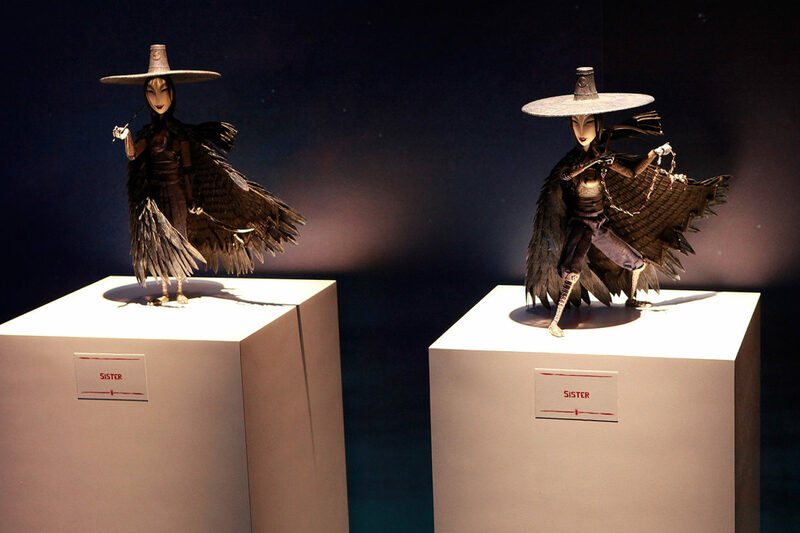 We finally come to the Kubo and the Two Strings portion of the exhibit, which is more heavily featured due to its upcoming release. 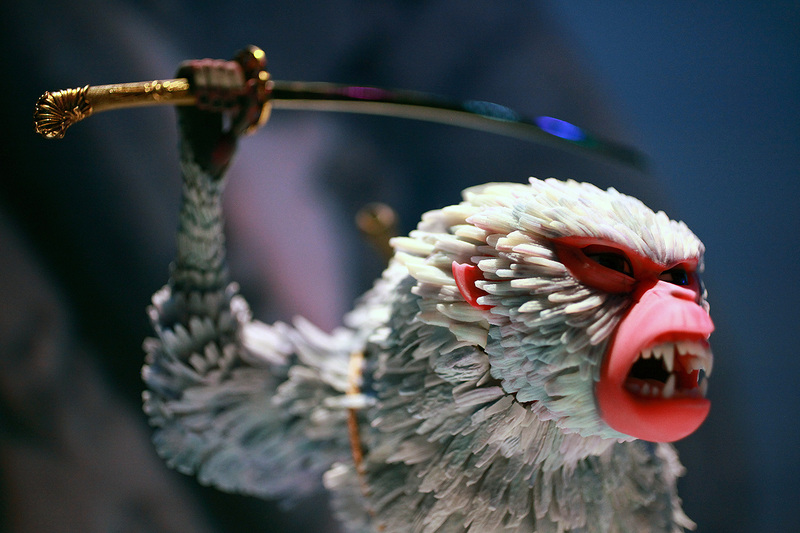 We’re introduced to the characters of Kubo, Beetle, and Monkey, and a baddie which breaks a record for largest stop motion puppet every created. 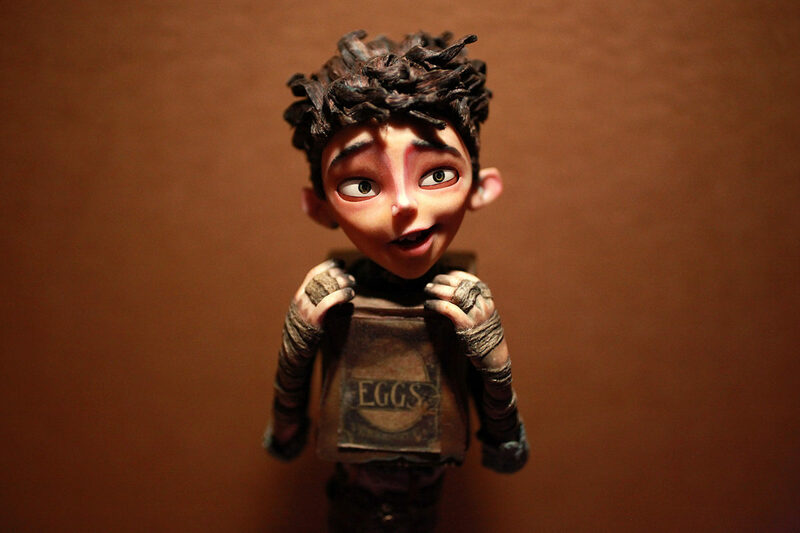 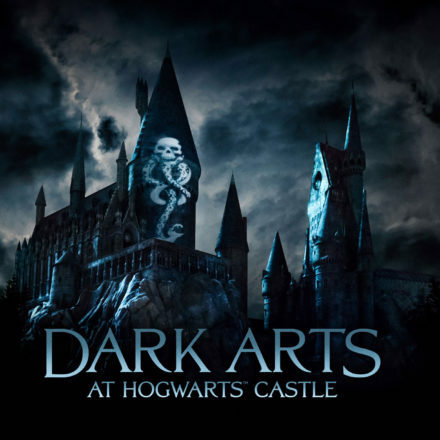 While we absolutely hope the film lives up to expectations, even if it doesn’t, it will at least be a visual masterpiece. 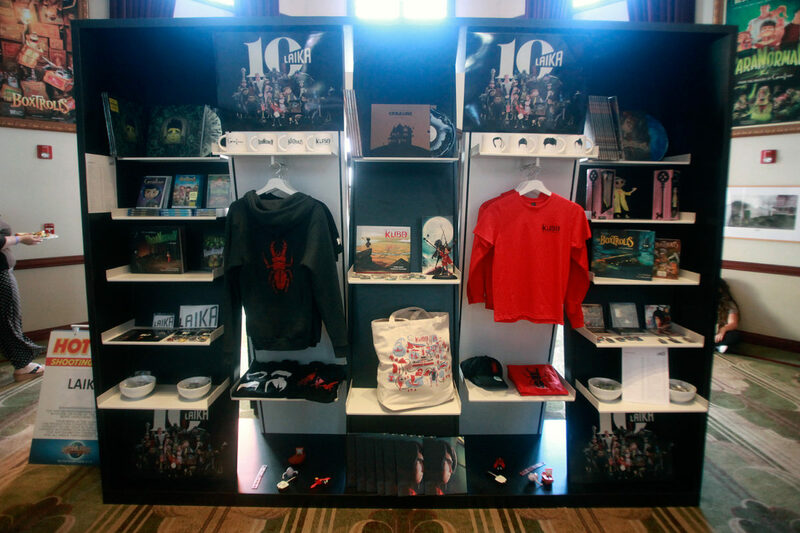 In the lobby of the Globe Theatre is a place where exclusive merchandise from LAIKA can be bought (not found elsewhere in the park). 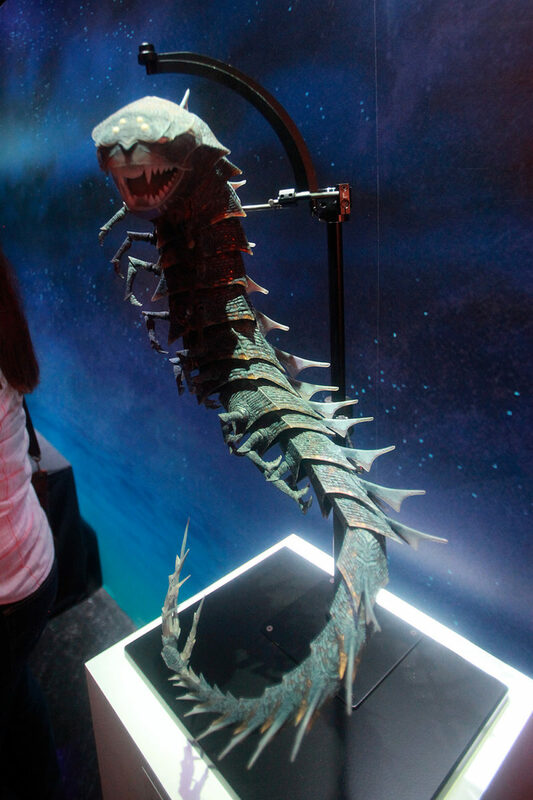 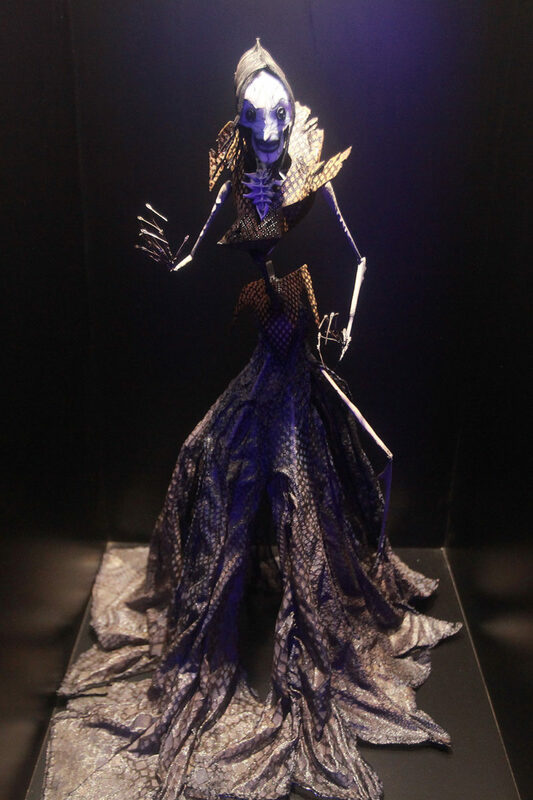 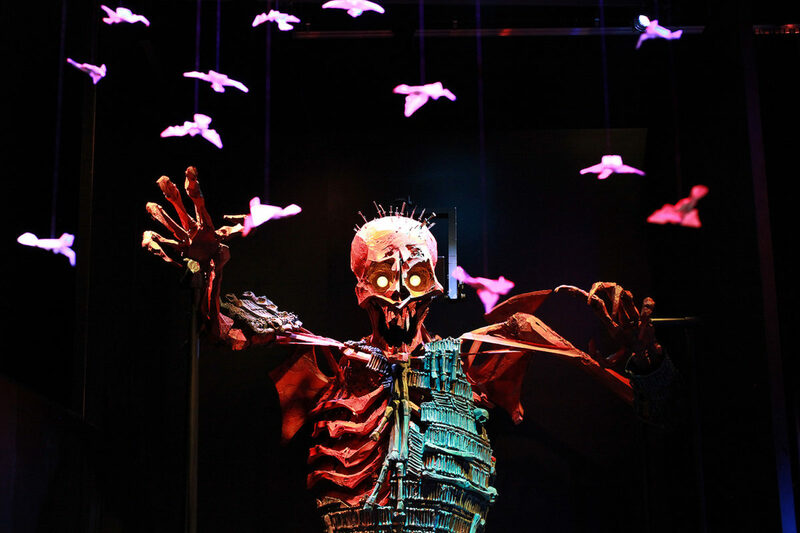 Definitely visit Universal Studios Hollywood and check this out if you’re able to (through August 14th) and see Kubo and the Two Strings in theaters August 19th. 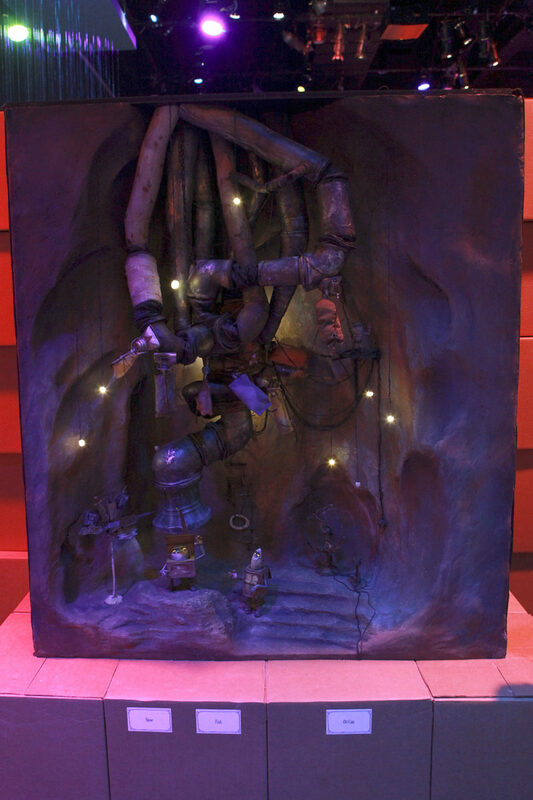 Star Wars Rebels Premieres Sept 24 on Disney XD!